Lemon juice is one of the most underestimated herbal remedies which has quite a number of good therapeutic uses and healing properties. Lemons are quite common fruits that we see everywhere, that we use to refresh our meals and beverages, use for removing stains and deodorizing air. Lemon flavor is used for our favorite candies, cookies and cakes. However, experts recommend taking another look at this miraculous fruit, which can be not only a source of vitamin C, but also a source of excellent health and longevity. Below, you can find the list of most valuable lemon juice health benefits. 1. Anti-bacterial properties of lemons make these fruits very effective for treating various throat infections, including tonsillitis, sore throat, colds and others. 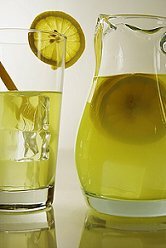 Mix juice of a half lemon with 100 ml of warm water and gargle once per 4-5 hours. In addition, lemon juice can relieve fever and reduce body temperature. 2. Despite being known as a highly acidic food, lemon can aid in relieving various ailments related to indigestion, as well as stimulate detoxification processes, relieve the symptoms of irritable bowel syndrome and improve the function of liver. 3. Lemon juice is an agent which can be very helpful for effective dental care. First of all, lemons and lemon juice contain calcium which is vital for healthy bones and teeth. You can use lemon juice to calm down toothache, banish bad breath and stop gum bleeding. 4. Skin care is another very common application of lemon juice and lemon products. As a great antiseptic, lemon juice solution can be applied to burns and sun burns, assist in would healing and getting rid of such problems as eczema and acne. 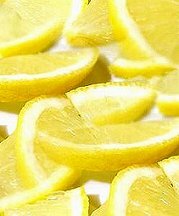 As lemon juice contains lots of antioxidants, it can act as a natural remedy that prevents aging and wrinkle formation. 5. 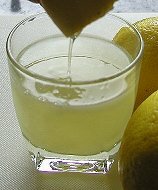 Regular consumption of lemon juice can help those people who suffer from high blood pressure and other related problems. A great natural source of potassium, lemon provides relaxation from such symptoms as nausea, dizziness, mental stresses, headaches, anxiety and depressions. 6. Lemon juice health benefits also include natural abilities to stop any type of internal bleeding. Those, who suffer from frequent nasal bleeding can use a piece of cotton wool with several drops of lemon juice to stop the bleeding. 7. Lemon is considered to be an excellent natural diuretic and using lemons is recommended to those who have high uric acid problems, urinary tract infections and other related ailments. Health benefits of lemon juice also include relieving the symptoms of respiratory diseases, such as asthma, etc. 8. Lemon is used in aromatherapy as an effective relaxant. In particular, you can try adding a tablespoon of lemon juice to some warm water and dipping your feet into it. You’ll feel very pleasant relaxation, and after this treatment your skin will be nourished and glowing. 9. Finally, use amazing cleansing health benefits of lemon juice. Take a tablespoon of freshly squeezed lemon juice, a teaspoon of high quality honey, mix those with 200 ml of warm water and take every morning right after getting up from your bed (on an empty stomach). You’ll feel great all day long, and day by day your body will remain clean and free of many dangerous diseases. You will lower your chances to have rheumatism or arthritis. Finally, this mixture is one of the most effective natural remedies that assists in weight loss and detoxification. This entry was posted 9 years, 4 months ago.